Your online source for quality mobile video and RV rear observation products at low prices and great service! Our new aerodynamic side body cameras eliminate blind spots on the sides of the vehicle and can be universally mounted to any flat surface. 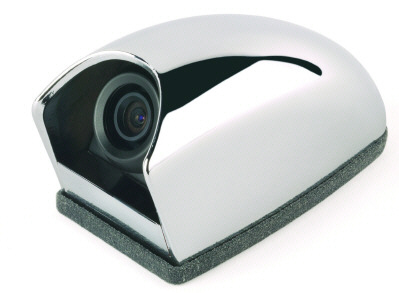 Cameras come complete with brackets, impact resistant housings, and all mounting hardware. Housings come in white, chrome, or gray. Gray housing can be painted to match the vehicle exterior. These cameras are designed to work with all our multi-camera monitors. Standard CEC type 4 pin male connector.